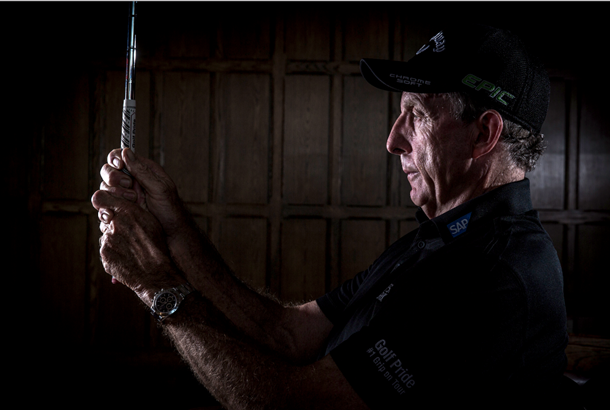 What David Leadbetter doesn’t know about the golf swing isn’t worth knowing. The 65-year-old has written eight instruction books and built a coaching empire which includes more than 34 academies in nine countries. His big break came rebuilding Nick Faldo’s swing, which produced six Major titles. Further success followed with Nick Price, Greg Norman, Ernie Els and latterly Lydia Ko, taking his tally to 24 Major Championships and more than 100 worldwide wins across the men’s, ladies and Champions tours. But were it not for missing a 10-foot birdie putt in the 1976 European Tour Q School— one that would have earned Leadbetter full-time playing privileges – golf might have been denied one of its greatest coaches. As it was, his journey started with a $10 lesson in Zimbabwe 47 years ago and will reach its peak when he collects the PGA Teacher of the Year award for the first time next month. We sat down with the man himself to find out the secrets behind his incredible longevity, and how you can get the most out of your golf game. How would you describe your style of coaching? Has it changed much? I’ve been teaching for more than 40 years. I wanted to be a player, so I learned a lot about the swing and what made it work and tick. I’ve done a lot of studies on biomechanics and how the body works and how the mind receives information. I am a very intuitive teacher and I’ve always relied a lot on instinct. Was it a case of trial and error when you were first started coaching? People like Mark McNulty and Nick Price were guinea pigs back in the day and a lot of my learning was done on the job. I was a book worm and studied a lot and researched a lot on Ben Hogan and Jack Nicklaus. One of my hobbies is collecting instruction books dating back to the 19th century. It’s always been an interest and a passion of mine. It’s been a constant case of searching and discovery through trial and error and feedback from different players and talking to teachers. And coming up with a philosophy, rather than a method. A philosophy is more open ended and you can apply it to different people; whereas a method is very strict and everybody has to do it that way. A lot of my philosophy is based around science. People have wrongly described me as a very mechanical teacher. A lot of that was probably because of the work I did with Nick Faldo, but he was far from being a mechanical robot. He was very much a feel player. I understand mechanics and how the swing works, but I try to teach through feel and use a lot of technology to help – like Trackman, Foresight and 3D analysis. They are great tools and videos have changed teaching a lot. I was one of the first to embrace it actually. It’s nice to know what the numbers are to refer back to it, but you’ve got to be able to interpret the data correctly. Do you think golfers are guilty of making the golf swing too technical? I think most teachers are probably guilty of making the swing too complicated for the average golfer. Most of the instruction videos you see on YouTube are mostly geared towards the really good player or athlete. But how many golfers swing like Dustin Johnson? I would imagine not many. The resources available are helping to produce more technical golfers, but the game still boils down to the feelings you have to hit the shots when you are under-pressure or need to get creative. Most pros actually keep things very simple. What do you think constitutes the best form of practice? I’ve always believed a lot of good work can be done indoors. For instance, if you are trying to train your body to move in a certain way, there are dozens of exercises you can do to foster the desired movement at home or at work. The key, however, is to make sure you are doing the right things. Don’t just rely on information from friends or YouTube. The chances are you are probably misinterpreting things anyway, and it’s unlikely it will be relevant for your swing either. My advice? Book a lesson with your pro. How would you recommend structuring a typical range session? If you have a couple of hours spare, at least 50 per cent of your practice time should be spent from 100 yards and in. That’s where a lot of people will benefit. The other time should be spent on something specific by incorporating a couple of drills or exercises and taking two practice swings before hitting a shot. Not just hitting ball after ball after ball. That’s what you do for a warm up or before you go and play. You’ve got to practise with a purpose, and one of the things we try to encourage is to incorporate a playing philosophy when you practice. What are the biggest misconceptions surrounding the golf swing? A lot of coaches say that the club should be swung on one plane back and through. That’s pretty difficult to do. I’ve always been of the persuasion that it’s much easier for the club to go back a little steeper and come down a little shallower. If you look at the players I’ve coached like Nick Price and Nick Faldo; you can see a definite shallowing in their downswings which comes from shifting the lower body towards the target just before completing the backswing. The reason this works so well is that it gets the club approaching from the inside on a more horizontal plane, almost mirroring the shaft angle at address, which is a prerequisite to getting the arms and body working in sync. Then, it’s just the case of squaring the clubface to hit a nice little draw – perfect for the 90 per cent of golfers who swing too steep and end up slicing the ball. Understand your swing and what makes it tick. If your ball striking is off, it’s usually because your swing is working out of sync. The essence of the A Swing: [The Alternative Approach to Great Golf] is about getting the arms, hands, body and club working in harmony by making everything more efficient and simple. The average golfer uses their hands and arms so much that the club is being swung out of plane and, as a consequence, the path is always on the outside which leads to pulls, slices and a loss of power. If you can get the club in the right position, it will allow your body to work in the correct manner. And the biggest reason that people’s torsos don’t work correctly is that the body is always compensating for the fact that the hands and arms are taking the club back in the most god-awful position.